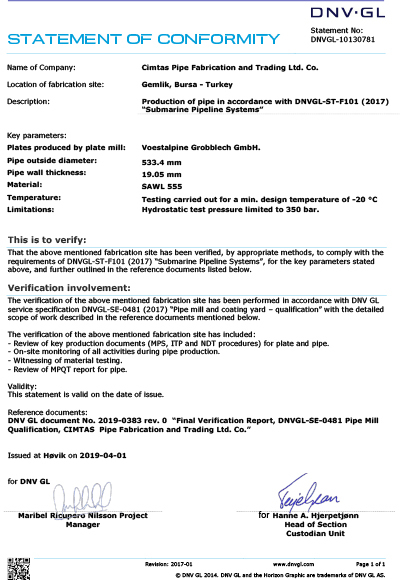 Cimtas Pipe, has obtained the DNVGL-ST-F101 Submarine Pipeline Systems Conformity Certificate, one of the demanding requirements of the offshore market for LSAW pipe manufacturing, after a successful audit process. 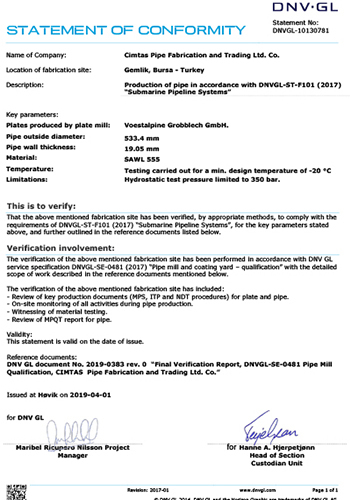 In the wake of the certification process, our capabilities has also been duly recognized after the audit process conducted at LSAW Pipe Works for the manufacturing, quality control and traceability processes of Offshore Drilling Riser Pipes Project in March 2019. 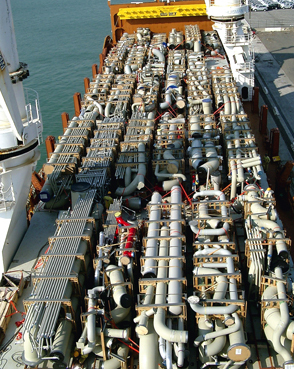 Due to the development of the market in offshore and submarine oil & gas projects, there is now a greater need for LSAW Pipe manufacturers with the appropriate qualifications and expertise to provide services to this sector. 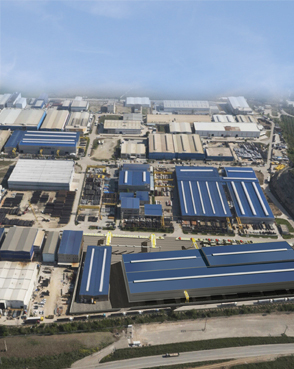 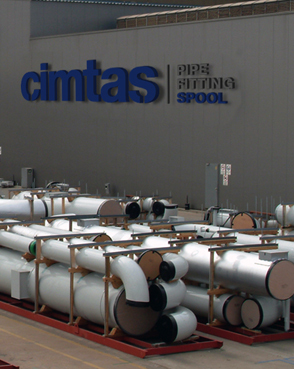 However, the strict conditions for manufacturing of LSAW Pipes can only be met by a certain number of pipe suppliers worldwide. 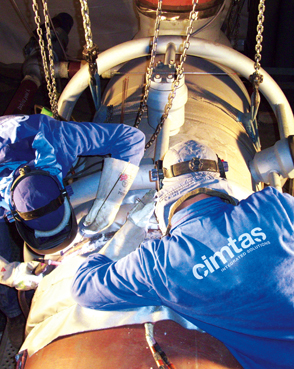 With this remarkably fast certification, Cimtas Pipe has taken a major step towards becoming one of the preferred partners for offshore market customers, who require high quality products, manufactured to tight tolerances and special processes such as destructive and non-destructive testing.